Will EU Charter of Fundamental Rights Protect Consumers'? 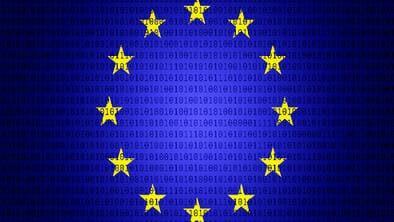 The European Union’s Charter Of Fundamental Rights has often been criticized for their invasiveness in the name of protecting Europeans’ privacy. With recent developments allowing governments to block certain websites without a court order – all in the name of consumer protection – where does this leave consumers? The Consumer Protection Law was inspired by the US Consumer Bill of Rights. The European Parliament felt that consumers required more protection than contracts could provide and the first law was passed in 1985. Since then, several Bills have been added which all European Union member States must abide by. The Unfair Commercial Practices Directive. The Directive was passed in 2005 and it aimed to stamp out unfair commercial practices, such as misleading advertising, i.e. adverts with ambiguous legislation. It also made it mandatory for all traders to clearly display the selling price and the price per unit on all products. The Directive on Consumer Rights. The final version of this directive was passed by the European Parliament in 2014. It was primarily aimed at improving contract terms to ensure consumers weren’t unfairly disadvantaged. The Directive introduced the notion of “good faith” to prevent significant imbalances between the rights and obligations of consumers sellers and suppliers. The Product Liability Directive. First passed in 1985, the Product Liability Directive aimed to create a regime of strict liability in Europe whereby manufacturers and suppliers could be held responsible for defective products. All European Union member states are bound by these laws and although they were devised with good intentions, they have been criticized by various groups across the political spectrum. One of the main criticisms is that individual countries would prefer to enact their own laws via democratically elected representatives, an argument which was recently used to negative effect in the infamous Brexit campaign. In addition, some of the laws passed under the Consumer Protection banner have been branded as ludicrous and have been mocked for their overbearingness. For example, the EU Toy Safety Directive which was passed to ensure that all children’s toys met certain safety standards included a provision which banned children under 14 from blowing up balloons unsupervised. Critics of the EU Single Market and Consumer Protection Laws were especially vocal during the Brexit campaign, claiming that the European Parliament had no right to enforce overly excessive safety measures on member states. Another issue consumers have with these laws is how they’re implemented and what measures are taken to ensure that member States abide by them. The responsibility for enforcing these laws is in the hands of each individual country’s own authorities. However, there is a parent network, known as the Consumer Protection Cooperation Regulation (CPC), which facilitates cooperation between regional authorities and ensures that no state is breaching regulations. The CPC Network conducts annual reviews, known as ‘sweeps,’ which aim to identify and investigate possible breaches of the EU Consumer Protection Regulation. In recent years, the CPC Network has primarily targeted the online sector which has become increasingly difficult to police. In addition to cooperating for purposes of enforcing EU Laws, nine European countries are part of a multilateral intelligence sharing agreement, known as the ‘14-eyes.’ This agreement means that these countries share signal intelligence with the NS. Essentially, this clause mandates all EU countries to have a website-blocking infrastructure, which means countries which currently lack such mechanisms must now implement them. It also allows authorities to block websites without a court order or due process. Supporters of the new legislation say it will stop EU residents becoming victims of scam shopping sites, false online advertisements, and it will help combat rogue traders. However, many others feel that allowing unelected officials the power to unlawfully block websites without judicial oversight will set a dangerous precedent which could be used to block non-e-commerce sites. Furthermore, enabling countries to create website blocking infrastructure can ultimately help them to silence political dissidents, as was seen recently in the Catalan independence referendum; the Spanish government sought to maintain control by aggressively censoring the internet beforehand. What does this mean for EU Consumers? Admittedly, this new legislation may well only be used to protect consumer rights and prevent EU residents from being scammed online. However, since the law doesn’t require any mandatory judicial oversight, the new regulation could easily be abused. Laws passed to help combat terrorism have been criticised for breaching civilian privacy and granting government authorities excessive powers and EU residents are afraid that this new legislation could be similarly misused.